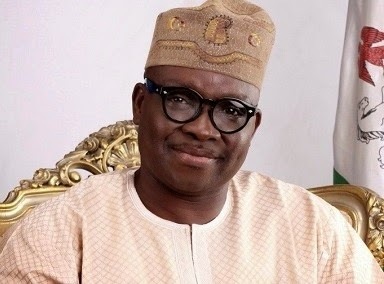 In the suit, the plaintiffs, including speaker of the House of Assembly which is occupied by the People’s Democratic Party (PDP) factional Speaker, Olugbemi Joseph Dele; Ekiti State House of Assembly, Fayose and Olusola through their counsel, Ahmed Raji (SAN), had approached the court seeking to stop impeachment moves against the governor. The suit however had already been struck out by Justice Ahmed Mohammed. When the matter was called for hearing yesterday, counsel to the plaintiffs, Raji, informed the court of his client’s intention to withdraw the case. The plaintiff’s counsel did not give any reason for the withdrawal.